Macedonian Prime Minister Zoran Zaev had a meeting with Chinese counterpart Li Keqiang at the sidelines of the 7th Summit of Heads of Government of Central and Eastern European Countries (CEEC) and China (16+1), which took place in Sofia. 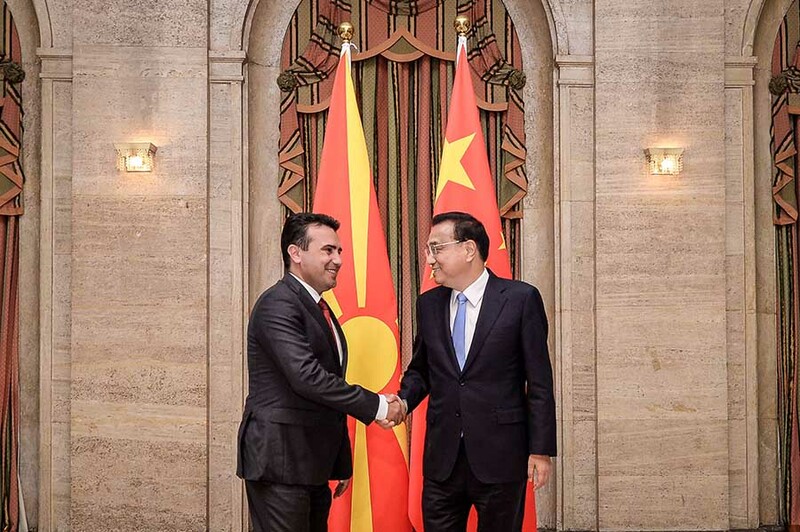 PM Zaev extended gratitude for China’s continuous support of Macedonia since its independence, saying that official Skopje would keep supporting the One-China policy, the government said Sunday in a press release. “We wish to open perspectives for bolstering the economic cooperation with China and cooperate in projects contributing to the infrastructural, economic development of our country,” Zaev told Keqiang. In this respect Zaev highlighted China’s support for speeding up the construction of the two highways – Kicevo-Ohrid and Miladinovci – Stip.